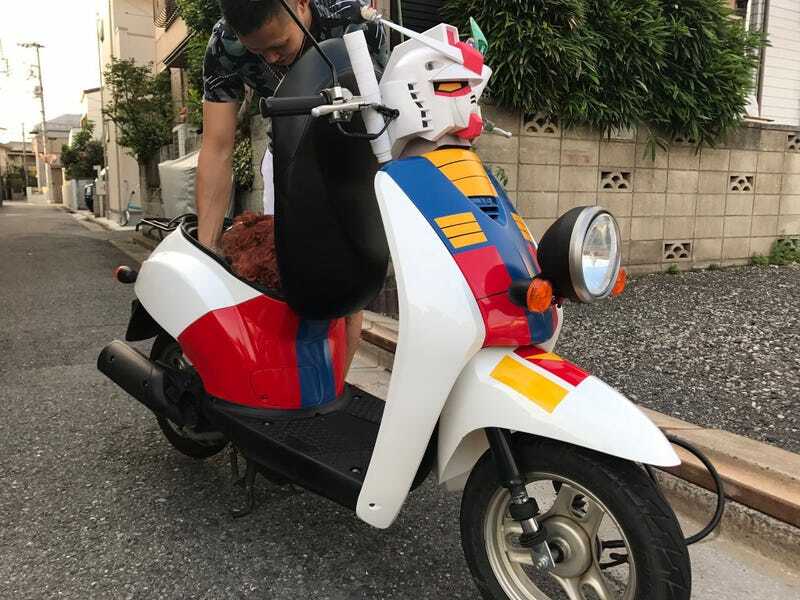 Twitter user Ryo Inoue is now the proud owner of a custom Gundam scooter. Lucky him! This Gundam “New Type” scooter previously appeared on Yahoo! Auctions in Japan, with bids starting at 229,800 yen ($2,118). The bike finally went for 498,000 yen ($4,607). According to Inoue, he’s going to connect a speaker to the bike, so he can ride around with Gundam theme music playing.